It’s easy to see why the Lignes pattern is a part of Alain Saint-Joanis’ Prestige collection. 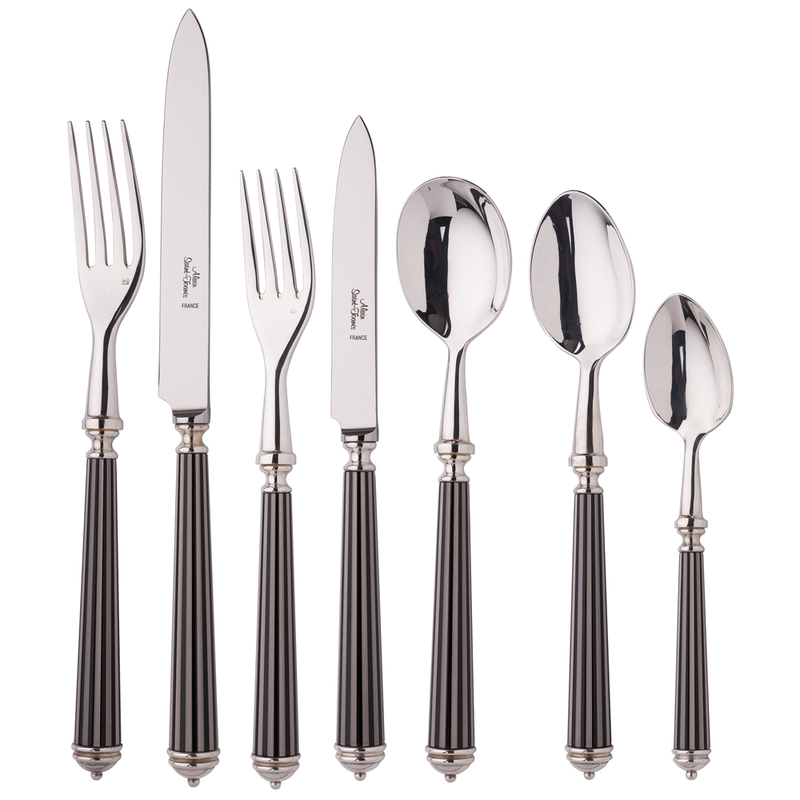 Crafted from 18/10 stainless steel and plated with silver, each individual utensil in the Lignes Black Place Setting is traditionally made in France and boasts a beautiful black lacquered handle. Plated with high-quality 33 micron silver. Black lacquered finish along the handle.